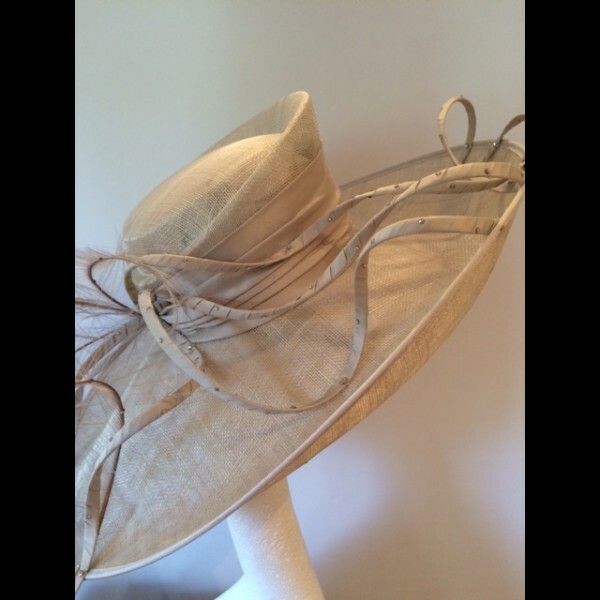 A Pearl Grey sinamay hat with a sculpted crown and a large upturned brim. 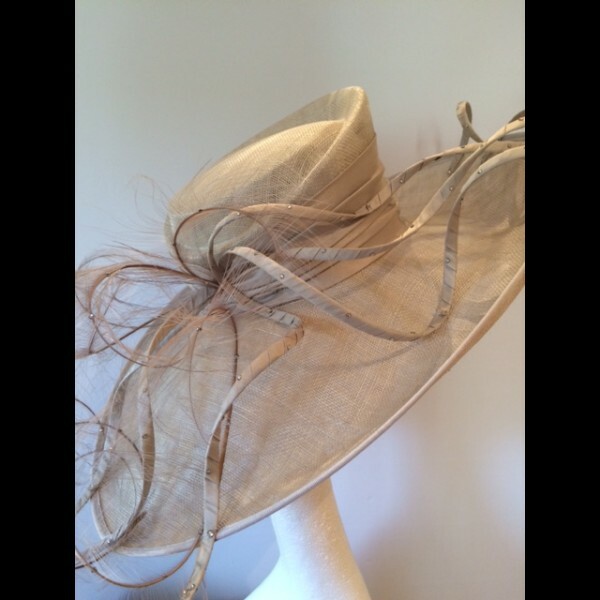 Undulating silk wrapped loops and delicate feathers complete this whimsical hat. A Pearl Grey sinamay hat with a cuffed crown and a large east to west brim, upturned at the front and to one side.The brim measures 50cm from side to side and 46cm front to back. 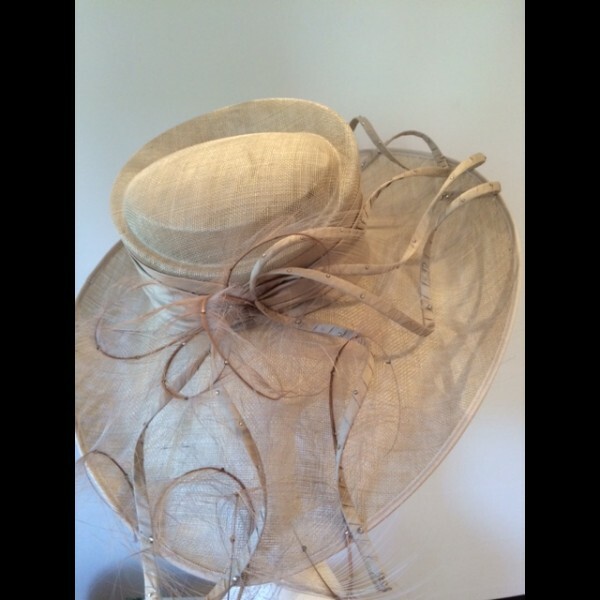 The crown is wrapped is toning silver grey ruched silk dupion. 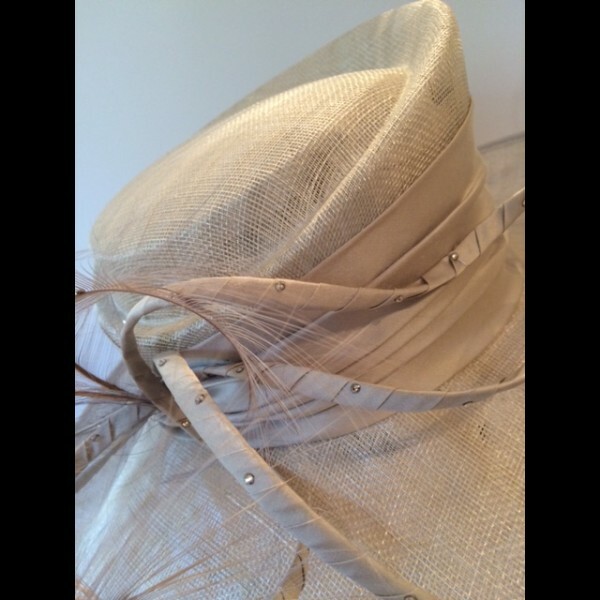 Undulating loops are wrapped in silver grey silk dupion and dotted with Swarovski crystals. To the right side, delicate wisps of burnt ostrich feathers.